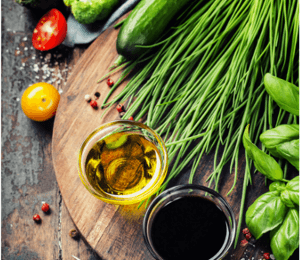 white wine vinegar: 2 tbsp. For the eggs, boil about 1l water in a pan with vinegar, bay leaves and lemon zest. Peel the ginger, cut into slices and add to the boiling water. Wash and add the chilli. Reduce the heat. 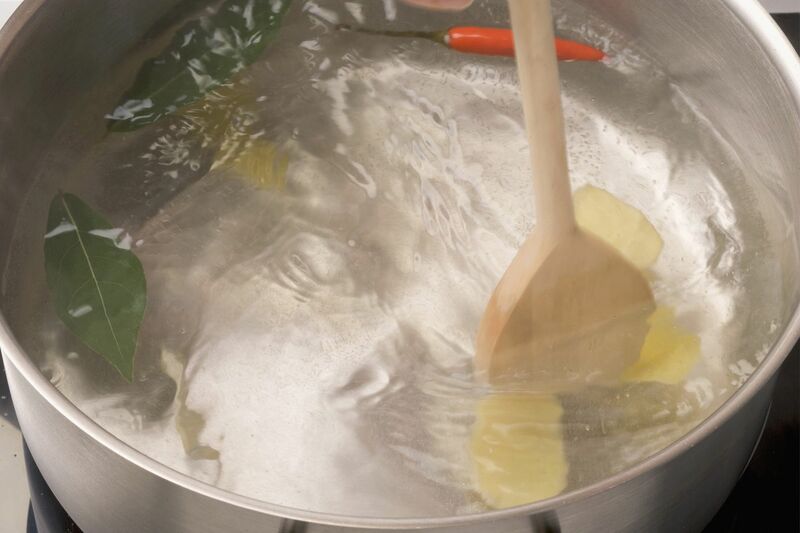 Use a wooden spoon to create a light swirl in the water. Crack an egg into a cup and slide it into the boiling water. Hold the egg in a ladle to keep its shape. 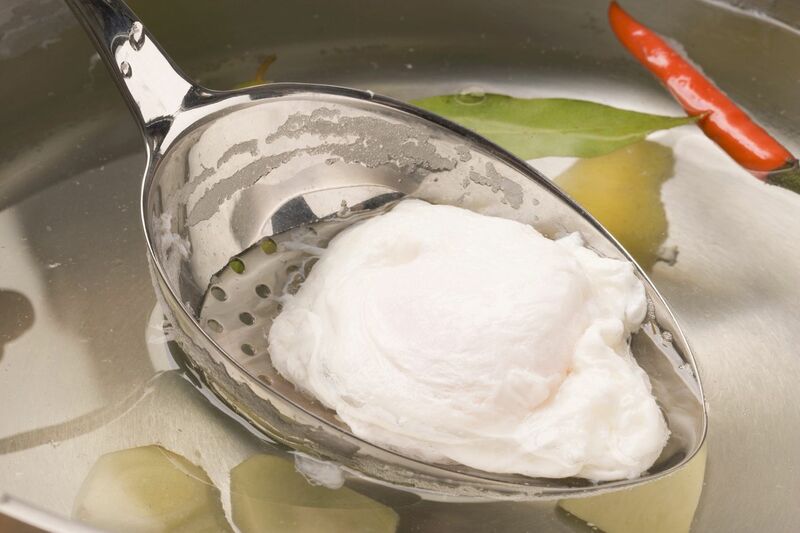 Poach the egg in the boiling water for 3-4 minutes. 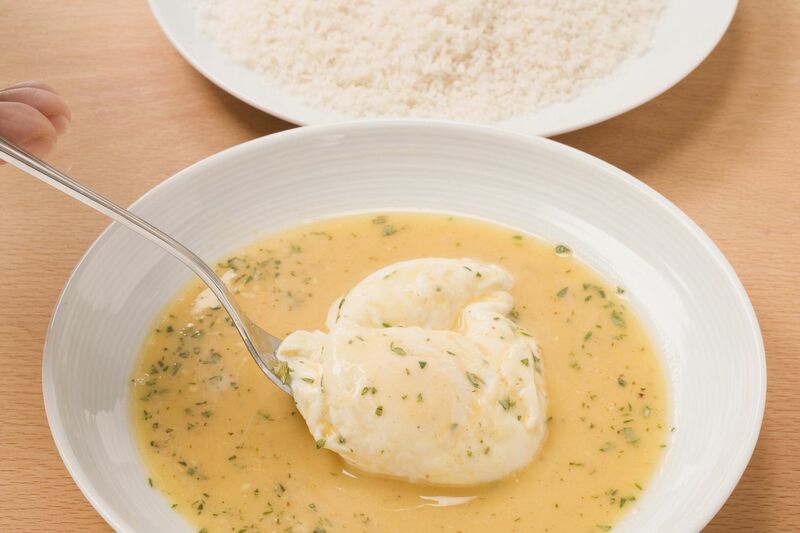 Remove the poached egg and place in lukewarm salt water. Poach 4 more eggs. Place the flour and bread crumbs on separate plates. Beat the fifth egg with salt, pepper, nutmeg and thyme. Turn the poached eggs in flour, then in the beaten egg, then roll in the crumbs. 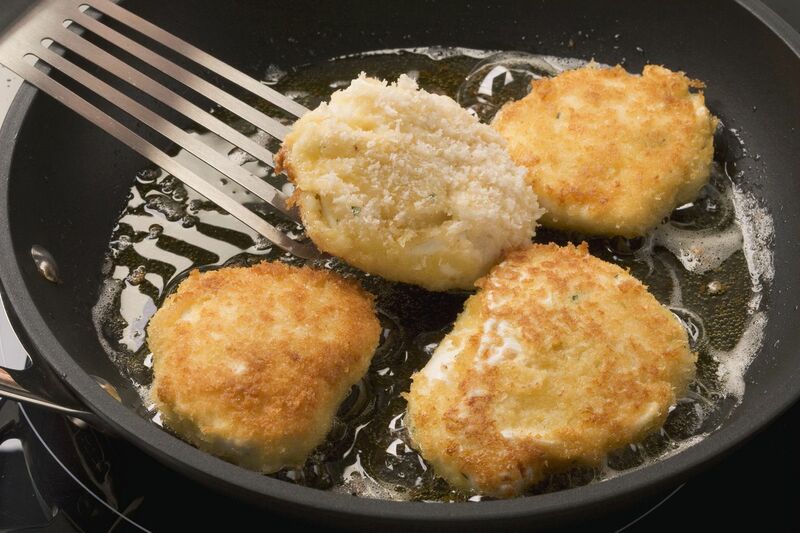 Heat the oil in a deep pan and cook the breaded eggs until golden brown. Remove with a slotted spoon and drain briefly on kitchen paper. Wash the spinach and lettuce leaves, dry and tear into bite size pieces. Mix the vinegar with the stock, salt, pepper and mustard, and thoroughly whisk in the oil. Spread the spinach and lettuce leaves on the plate, add the bacon in pieces and the baked eggs beside it. Season lightly with pepper and serve.